When parties, weddings, festivities and celebrations fill up the calendar, you know it’s time to bring out the formal wear for you and your family. But when you’ve got kids in tow, you need to carefully scrutinize every piece of clothing that goes into their wardrobe. Making sure they’re comfortable and stylish at the same time is your top priority to keeping them happy and trendy. There’s nothing classier than a traditional tuxedo. Add a deep indigo hue to the classical cut and you’ve got yourself a suave little ensemble to make your little man look his classiest best! 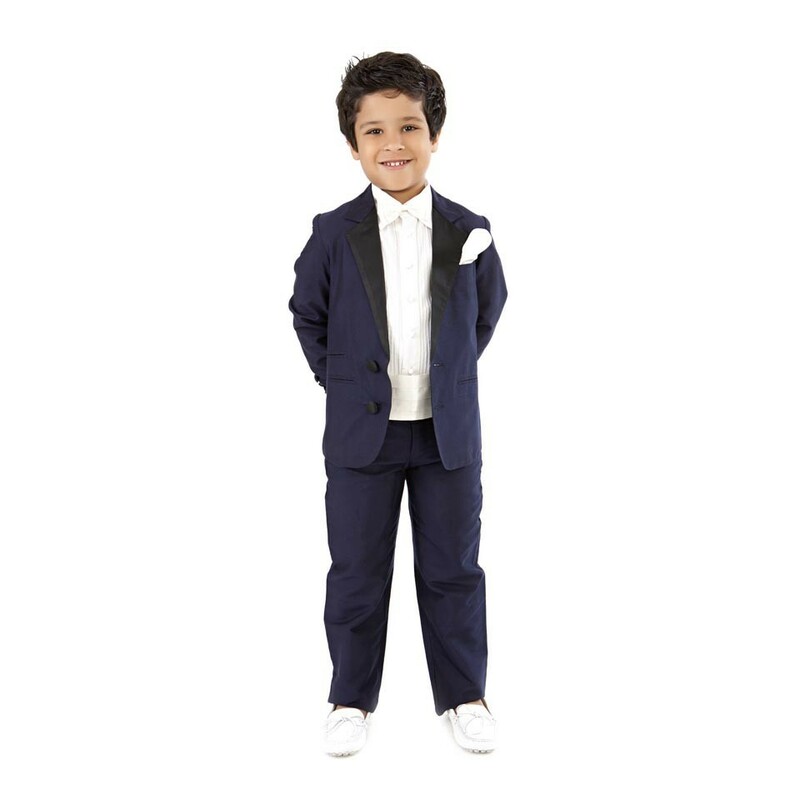 Drafted out of a comfortable mix of cotton and silk, this tux from the house of Kidology promises him a world of comfort. Pair up the suit with a crisp white shirt for a sophisticated formal appeal, or a ruffled white shirt for a more playful get-up. If you want to add a bit of coordinated coolness, slip him into a pair of white leather or suede shoes, but if his style is more eclectic, then tan leather Oxfords would be a dapper match. Complete the look with a trusted pocket square –the be all and end all of a tux! 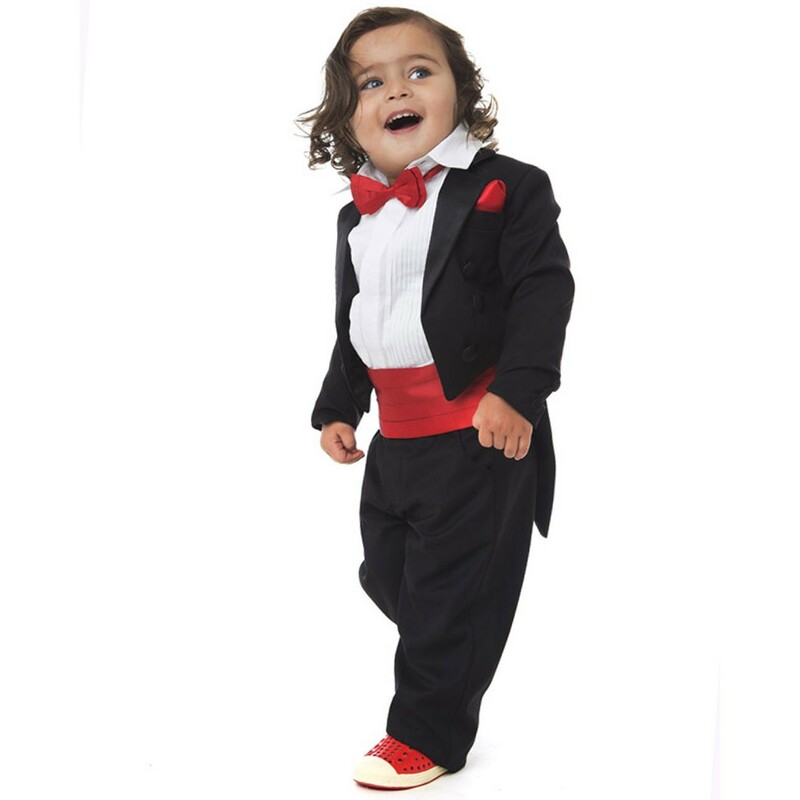 Get the little man to stay eternally on-trend with this daring, fashion-forward suit! When fashion bells come ringing, it’s time to toss out the boring old dark hues and introduce a splash of colour to his life. Gender-neutral trends have been firing up the international fashion scene, and there’s no better way to teach your boys a lesson in liberalism, acceptance and tolerance than by adding an eclectic outfit to his wardrobe. Blur the lines between traditionally masculine get-ups and let his spirit run free with colourful outfits like this light grey suit and bright, lime green vest. It’s always a delight to see top designer kids wear brands like Kidology get on board the progressive bandwagon with some high fashion designs like this! Don’t you agree? Be it birthdays, weddings or festivals, this piece gives the crowds a reason to gush about just how cute your little boy is! 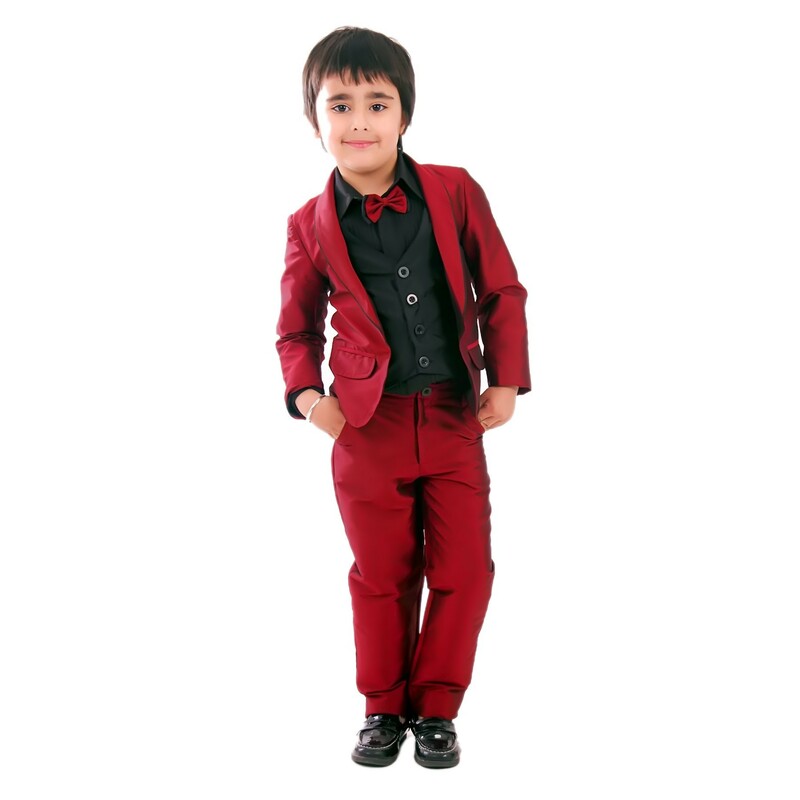 Slip him into this bold red suit and he’s sure to be the centre of attention, wherever he goes. What I love best about this suit is that the vest is stitched into the blazer itself, so you don’t have to worry about too many layers making him uncomfortable, which is a definite concern with the little ones. Uncomfortable clothing can be a nightmare for both parents and kids. But when you’ve got premium quality fabrics and impeccable tailoring from Kidology, all you get is a happy kid looking absolutely dashing! 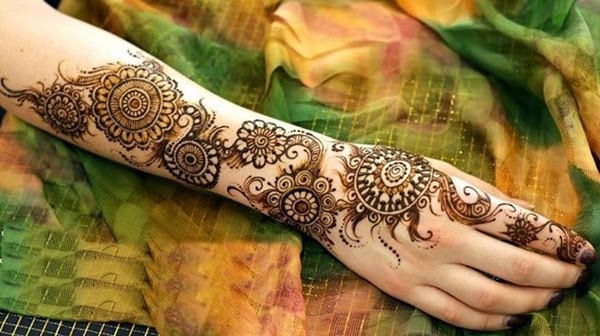 So are you ready to cruise through the party season in dauntless style? Got a super formal-do coming up? 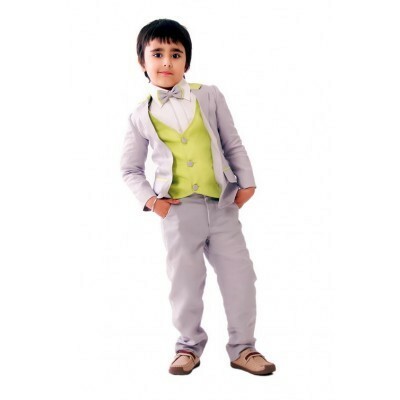 This adorable English suit is just the perfect look for your little man to slay the formal scene! Sophisticated and timelessly classy, who could resist loving an exquisite little English suit? The typical English elegance is evident in every stitch of this luxurious garment that’s sure to make your little gentleman cut a dashing figure. Keep it classy with glossy black leather shoes and add a punch of colour with a bright red bow tie. A classical number like this is a must-have in his formal collection. As if your little boy isn’t a bundle of cuteness already, this adorable coat tail suit revs up the cute-o-meter to a whole other level! Dress up your little boy in this two-piece designer coat to make him shine bright like royalty. A touch of radiant red to his bowtie, cummerbund and pocket square creates a magnificent masterpiece of this winner. 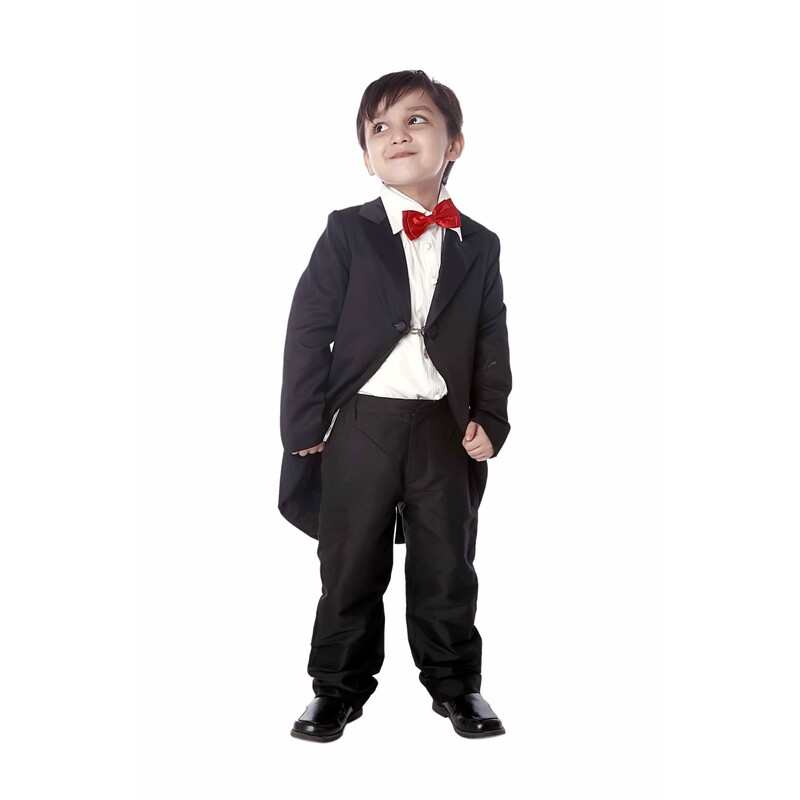 Let him experience the comfort of bespoke tailoring by designer kids wear labels and before you know it, you’ll have a little fashion icon running around the house! 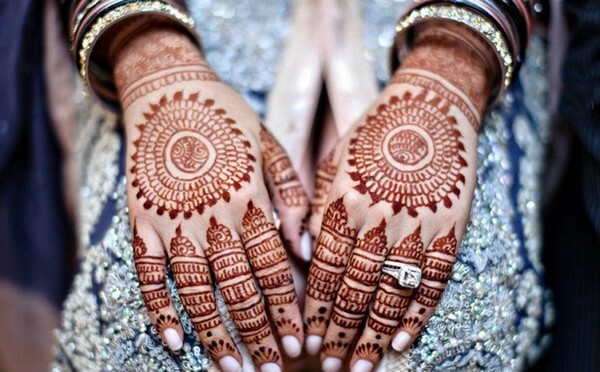 How to Get Ready to Be a Bridesmaid?